Elegant and refined, a classic pendant can offset just about any outfit. This single clear crystal solitaire is surrounded by a circle of clear crystals set in pavé on the outer side. 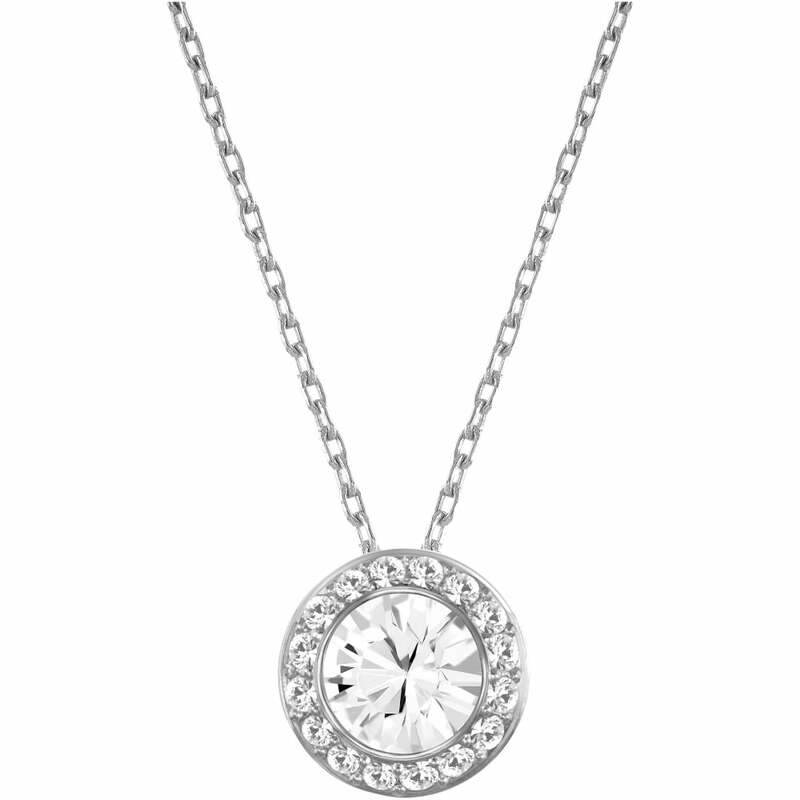 The pendant comes on a delicate rhodium-plated chain.